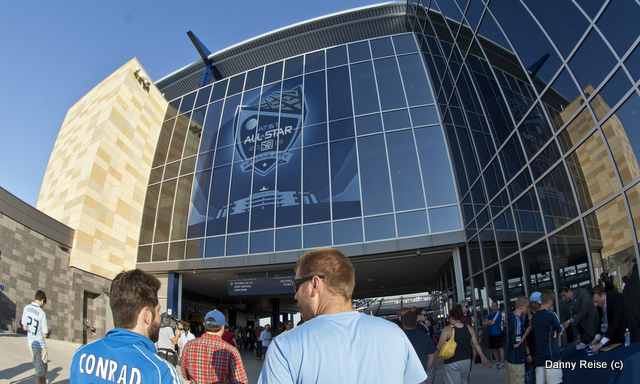 The 2013 MLS All-Star game didn’t just affirm that for one night, anyway, Kansas City was the “soccer capital of the world,” as proclaimed on a downtown billboard. For all of the parties and hype building up to Kansas City’s first MLS All-Star game, AS Roma took the match itself seriously. It showed. My Photo Gallery is available at my Google+ Page. How about you, did you attend the game? Where are you sharing your photos? The largest crowd in Sporting Park history got treated to a clinic on creative, efficient, aggressive soccer on Wednesday night. It came at the expense of the MLS All-Stars, though, with the Serie A side cruising to a 3-1 victory in front of a standing-room-only crowd of 21,175.